When President Miller announced on April 5 that Virginia Wesleyan College will become Virginia Wesleyan University, he also announced that the school address will change from Norfolk to Virginia Beach. A number of people have described this as unnecessary, but I disagree. 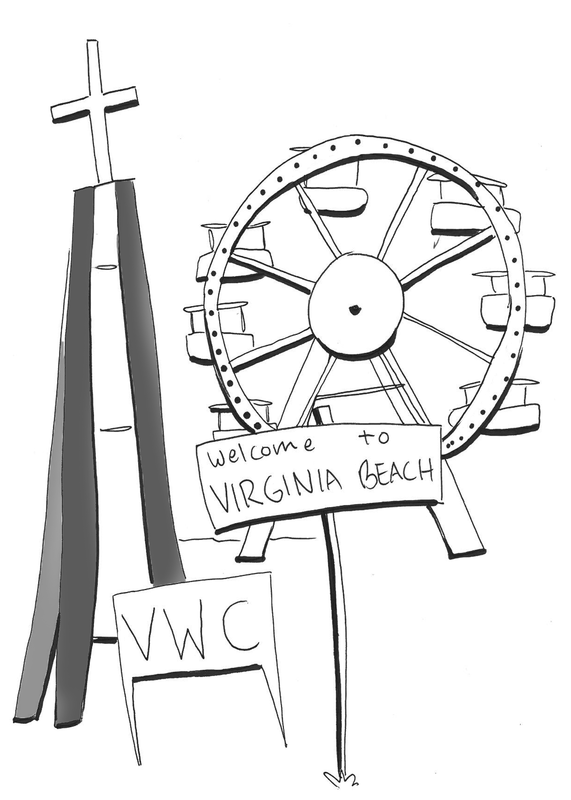 I believe that for VWC, identifying as being part of Virginia Beach makes sense given its location. It will also help with competition and will bring in more students. Because the school is located on the border of Norfolk and Virginia Beach, it has two addresses, one for Norfolk and one for Virginia Beach, with Norfolk being the official one. It is important to note that despite having Norfolk as the main address; the majority of the campus is located in Virginia Beach. According to VWC alumnus Jon Snow, who now works for the Norfolk Police Department, the only building that is located in Norfolk is the Physical Plant, which most students do not have access to anyway. Not only that, but right before you get to campus there is a sign that says, “Welcome to Virginia Beach.” When I registered to vote, I sent my application to the Norfolk office, assuming that since my address said Norfolk, I would be voting there. A week later, I was informed that my application had been transferred to the Virginia Beach office because that was where my voting poll was located. Having Norfolk as the main address never made sense to begin with. By having the school in Norfolk, we are living in the shadows of both Old Dominion University and Norfolk State University, two big Division I schools. Whenever I tell people that I go to school in Norfolk, the response I always get is, “Oh do you go to ODU?” By having the college in Virginia Beach, we are only competing with Regent University. With all respect to Regent, they do not have an athletics program and they appeal to a very specific demographic. I do not believe that they will be as much competition as ODU or NSU. Having the college in Virginia Beach also makes it sound more exciting to potential students. When high-schoolers look at colleges, one aspect that they consider is the location. When they see that the school is in Virginia Beach, they are going to associate that with the Oceanfront and all of the fun attractions there are to do there. Again, if you are not familiar with the Hampton Roads area, you might not make the same connection of being near the Oceanfront with Norfolk as you would with Virginia Beach. Having Virginia Beach as the main location for Virginia Wesleyan College makes much more sense than Norfolk. It is more accurate, it decreases competition, and it will help with enrollment. Now, if you don’t mind, I think I am going to go to the beach.